I am Jack C., and we are commercial cabinet company that specializes in medical and dental casework. I have hired Eco Marble & Granite many times over the past few years and have had o long working relationship with Dave L. . Eco does very good work for me and has always come through with our sometimes hectic schedules. The best praise I could give them is that I will be using then again in the near future and would recommend Eco to anyone that needs a great stone top from people that are always easy to work with. We have been working with Eco Marble & Granite for about two years now and have found their workmanship and work ethics to be as superior as anyone we have ever dealt with in the past. Dave Lodge is always available for us when we need him and a pleasure to work with. They make things so easy for us and our clients. 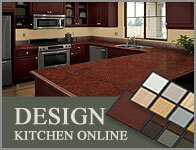 We highly recommend Eco Marble & Granite. 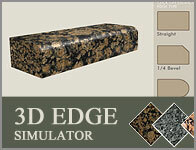 We have been using Eco Marble & Granite exclusively for over two years. Their work ethic and dependability are second to none and that has contributed to our continued growth as a business. They have never missed a deadline for us, even on short notice. Cleanliness is always a priority for our company and customers, and they have always upheld those standards. The owners and staff are always accessible and continually keep us updated on new inventory. 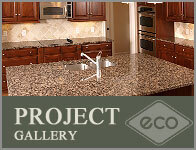 We highly recommend Eco Marble & Granite. I have worked very closely with Ms. Yoltay during the several years while his company served as the supplier for granite in our Colonial Heritage Projects. Volkan and his company has excelled in this role and maintained one of the highest levels of productivity for a vendor. Volkan produces a high volume of work while maintaining high standards for quality and accuracy. Timing, good material & service are the three words that come to my mind when explain Mr. Yoltay as well as his company.